Online political press kits are helpful in that the information can be kept up to date, and the information is easily accessible. The material can be added to its own section on the website or incorporated into the site contact page or linked elsewhere. Traditionally, digital press kits are built into a series web pages where the goal is to sell advertising space on the site. Using that format on a campaign website is a little redundant, since you are not looking for advertisers, and the point of the site is to sell the candidate. Instead, focus on making the campaign press kit easily digestible information that can be easily downloaded and incorporated into media coverage about your campaign. So what goes into a political online press kit? It depends, really. 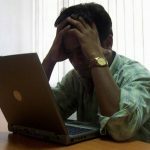 Unlike a physical press kit, an online press kit can be broken up so it can be downloaded in part or in whole. PDFs work well as a common file format for documents. You can save your files as PDFs through Word, or you can convert them through a free tool like PrimoPDF. Images can be grouped together and compressed into ZIP files. WinZip is a popular compression program, but there are free alternatives available such as jzip. A cover letter describing the candidate and campaign. A candidate biography. Don’t forget to add a photo and related web links. Digital copies of logos, brochures, flyers, ect. 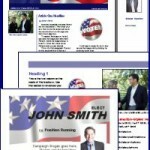 Photographs of the candidate and campaign. Consider offering several versions for download. Low-res files can be used for web, but print requires larger images with higher resolution for decent results. A Question and Answer sheet covering the major issues. This should include standard platform information and cover basic questions. In your material, avoid fluff about how great the candidate is. Keep the campaign press kit material professional and up to date. You don’t need to necessarily link to your files. You can keep them private and only provide direct download links when necessary. To quickly get you material into the hands of the media, be sure to reach out early. Find out what reporters cover your area and send them a quick introduction and contact information, letting them know where they can find up-to-date information about your campaign. Remind reporters of your online press kit following candidate interviews or when you are submitting campaign press releases. Anything you can do to make a journalist’s job easier is helpful and, if you’re lucky, may lead to better media coverage. Get a jump start on your online campaign press kit. Download our brochure templates to add a professional edge to your campaign literature – or view all of our Digital Products. 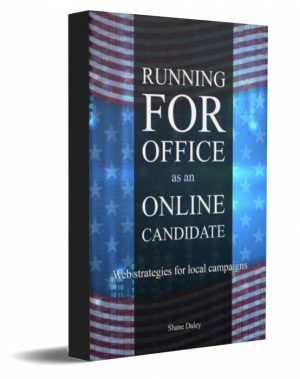 Online Candidate is the easiest way to build your campaign website, raise more money and reach more voters. Here are some real, verified reviews that our past clients have left about Online Candidate. political web design and political marketing every election cycle.